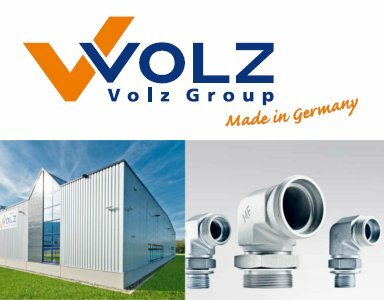 We are pleased to inform you that Unitec-D High Tech Industrieprodukte Vertriebs GmbH is now distributor for Volz fittings. Since 90 years , Volz has been well known for the “Made in Germany” quality in the field of pipe and hose connections for hydraulic systems. The exclusive Metric Fittings® system guarantees high reliability and optimum performance with competitive prices. Moreover, the Volz products are made of steel and stainless steel, and are 100% compatible with other worldwide leading brands. Feel free to send us an inquiry, our employees are at your disposal for technical and commercial advices. Learn more about Volz and download the Volz catalogs and brochures. 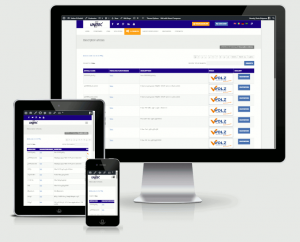 Browse our online catalog for Volz products, it contains more than 7600 items. Make a search, find your product and send us a request for quotation, it’s free!